We are delighted to welcome back Detroit’s Rick Wade to the Landed Records imprint. A guy who needs no introduction in the House and Disco music scene, Rick’s stable career as a DJ and producer has spanned more than two decades. Treating the world to some of the best loved Deep House and Angry Disco tracks, it’s easy to see why he’s such a well loved and respected artist. We are also delighted that Geoff Pesche from Abbey Road Studios is back on the mastering and has worked his alchemy on the release. The Adjustment Of Status EP spins a terrific story of Raw House music and Angry Disco – two sounds where Rick is well and truly on top of his game. A1: Ancient Tongues – Original Mix: Rick kicks off the EP in true Wade style with a solid, raw and moody number, which warms your cockles from the very start. Deep and loose bongos conspire with a rumbling bass and stirring jazzy keys to create a warm, moving track with a real late-night edge. A must-have for any Deep House DJ. B1. The Day B4 Forever – Original Mix: Moving on with a lush, laid-back beauty, tightly knitted drums build a tough vibe from the off, followed by a smooth, low-end, grooving bass, backed up with lush, floaty keys. The Day B4 Forever takes you on an intensely moving journey from start to finish. Classic Rick Wade. B2. Daddy’s Theme – Original Mix: Fun, funky and full of excitement, this is an upbeat Angry Disco track with the spirit and vibe to lift a room from its foundations! Daddy’s Theme is a super party track guaranteed to get the party started. Full of soul, feeling and delicious musical elements. Timeless classic! This limited edition, hand-stamped and numbered, orange 12” Vinyl is definitely one not to miss. Play it loud! Rick rocks it once again. Loving all the tracks here. Nice EP! Players for sure. Daddys Theme for me! Support. Lovely deep rollin’ House. Full support. Love ancient tongues- thx !!! Solid EP of fine House music, thx! Ancient Tongues – Love it! Really nice groovy tracks, top! Nice vibes/tracks from Mr Wade! Thanks for this package! Sick sick sick from Rick! Really like this. Absolutely YES! The whole EP is great! Thanks alot! Big fan of Rick Wade. Another amazing EP! Feeling Daddy’s Theme. Like an old sneak or Boo Williams roller. The new EP is superb! Ancient Tongues is great!! I will play defo! I like what I hear & will support! Beautiful EP, Ancient Tongues def my pick. ‘Singles of the month’ review and chart placement. Landed Records ‘Vital Label’ piece in print. More beautiful slices of deepness from the master – loving the disco-jazz feel of Daddy’s Theme! Excellent work from Rick and Landed. Landed on top form atm. Like The Day B4 Forever best. Classy. The Day B4 Forever is pure love. This man can do no wrong in my world. Niceness! Nice deepness. Ancient Tongues & The Day B4 Forever both will play at club & Ministry radio show. Support. Ancient Tongues is sublime, wish Aaron Carl was around to do some vocals for it. Daddy’s Theme has a great groove, perhaps a DJ 3000 remix. Anyway Ancient will get radio play for sure, great EP. 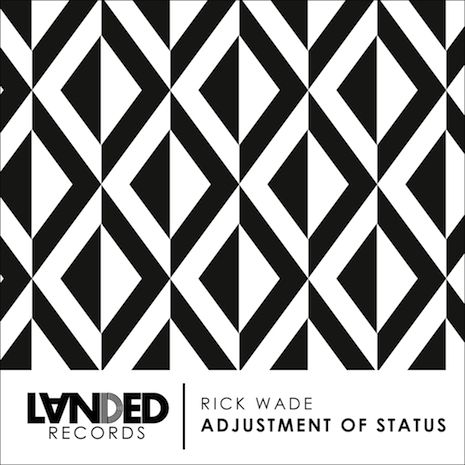 Cool House release & always great stuff by Rick Wade. Will play & Full Support !!! Liking the Day B4. Support!